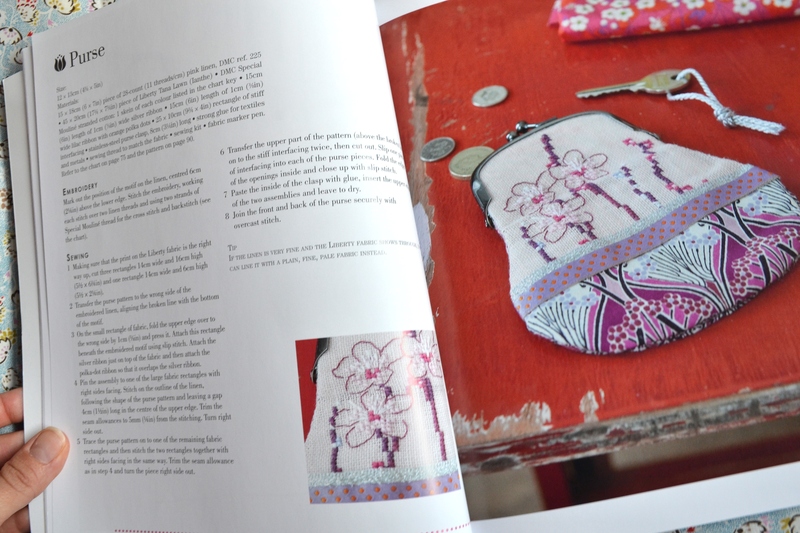 I’m a huge lover of Liberty Fabrics, and cross stitch so when I saw that there was a Liberty Cross Stitch book I had to invest! 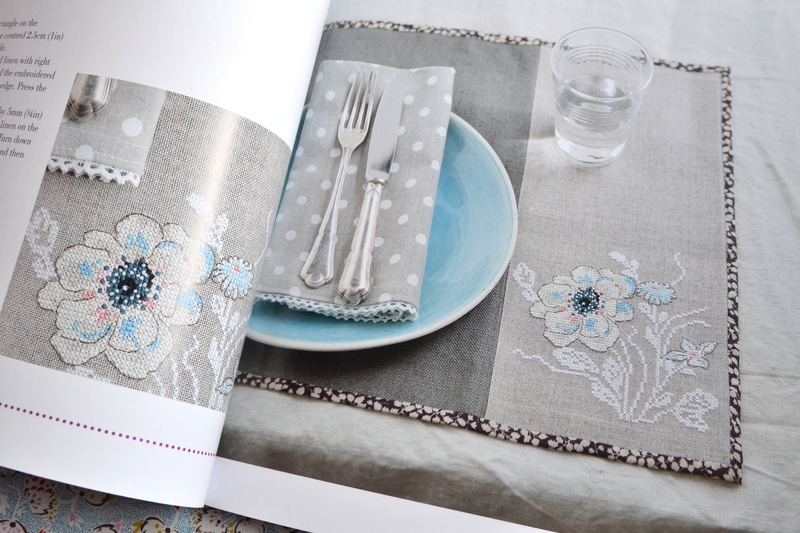 The book is full of beautiful patterns and projects. 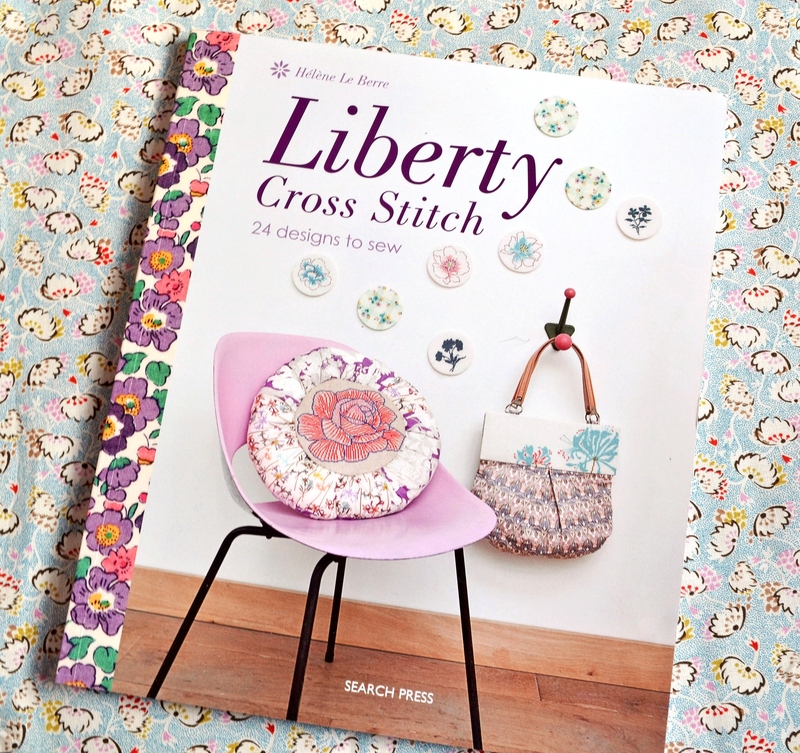 Even if your not a fan of Liberty but love a bit of pretty cross stitch this book is for you. 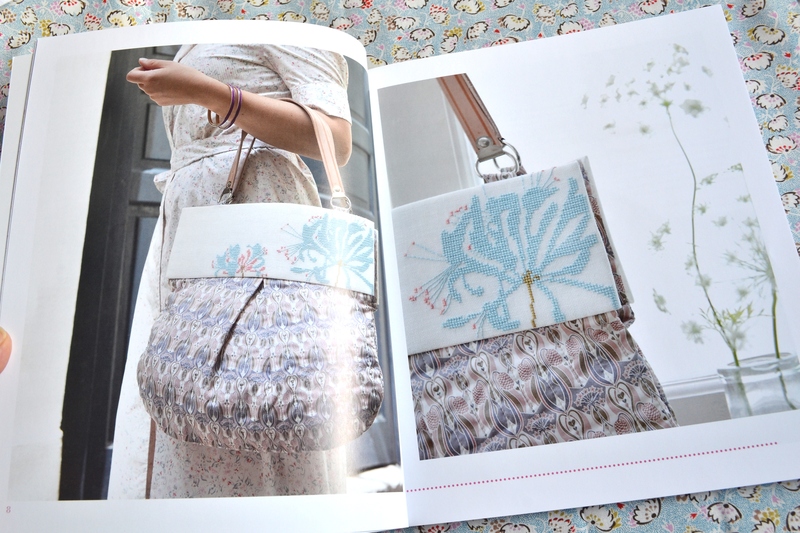 So many times I buy a craft book and see only one or two things I would like to make, but in this there are plenty I want to stitch! This is the chart I chose to start with, you can see the completed project on the front cover, admittedly I will probably not make into a cushion, I’m waiting to see when I’ve finished it what I will make, but I think I will just be framing it. I chose to change the colours slightly as I wasn’t a fan of the dark blue. It’s been a while since I last did any cross stitch but I fell into this so easily. This is it so far, I’ve found it very enjoyable to stitch and it’s coming a long nicely. I’ll be sure to share a picture when it’s completed. I do recommend photocopying the pattern, especially if your like me and like to mark off where you have stitched, it saves you having to mark the book. The only teeny tiny complaint I have is there is no arrows to help you mark the centre of the pattern, but that’s only a minor niggle and not a biggie. 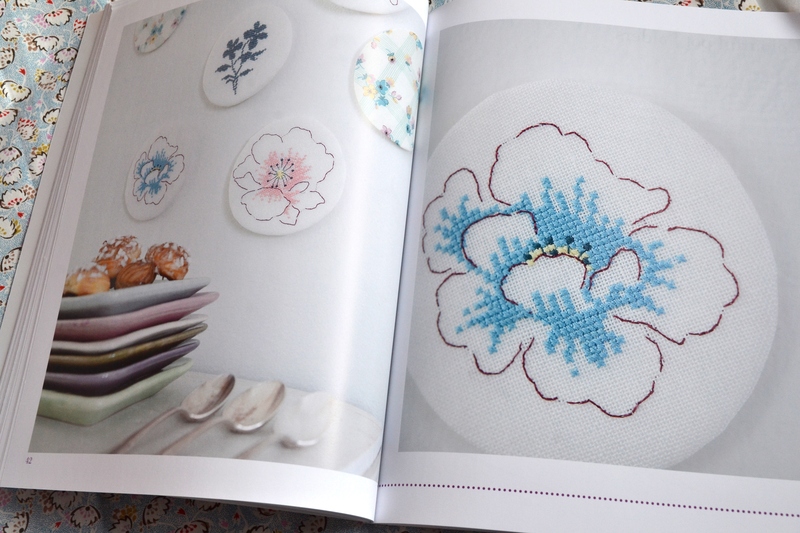 The book assumes you have some cross stitch knowledge and dives straight into the projects, so if you’ve not cross stitched before you may want to learn from other sources first. 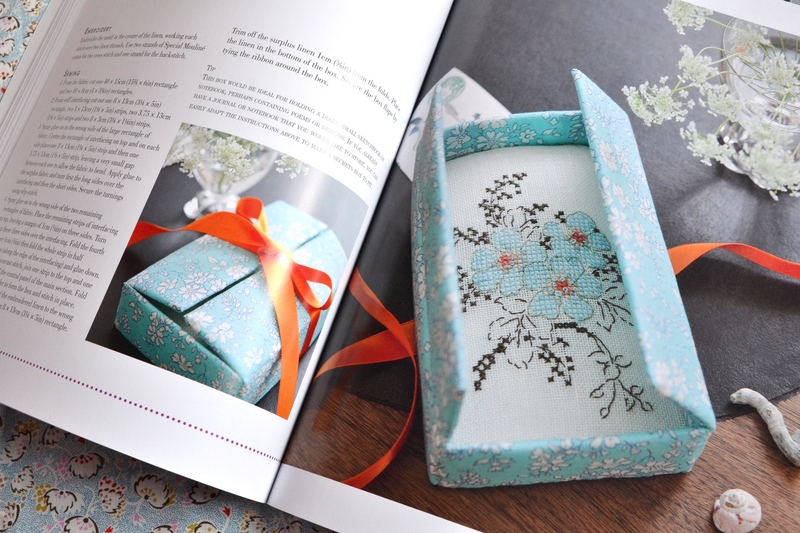 All in all it’s a fab book with some super pretty stitches and project ideas. 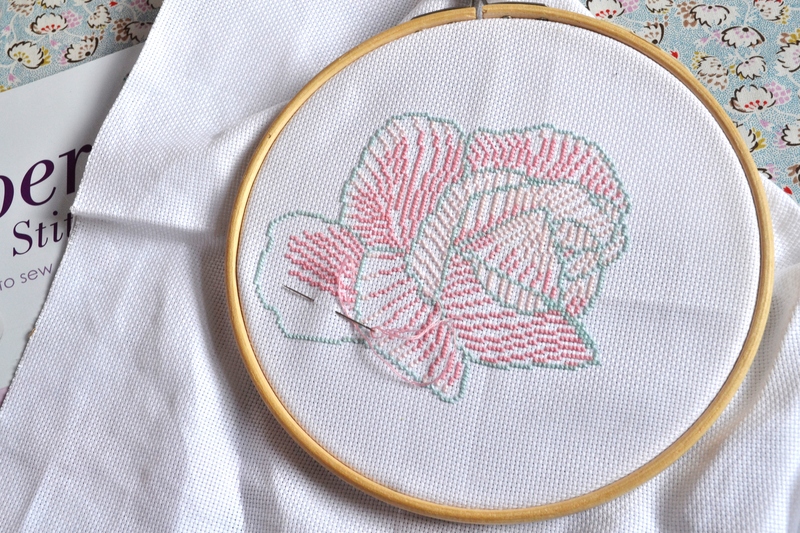 Floral cross stitch that is on bang on trend and not old fashioned. I would highly recommend! Previous Post Fun with sprinkles! Beautiful patterns, especially the one on the 6th picture! 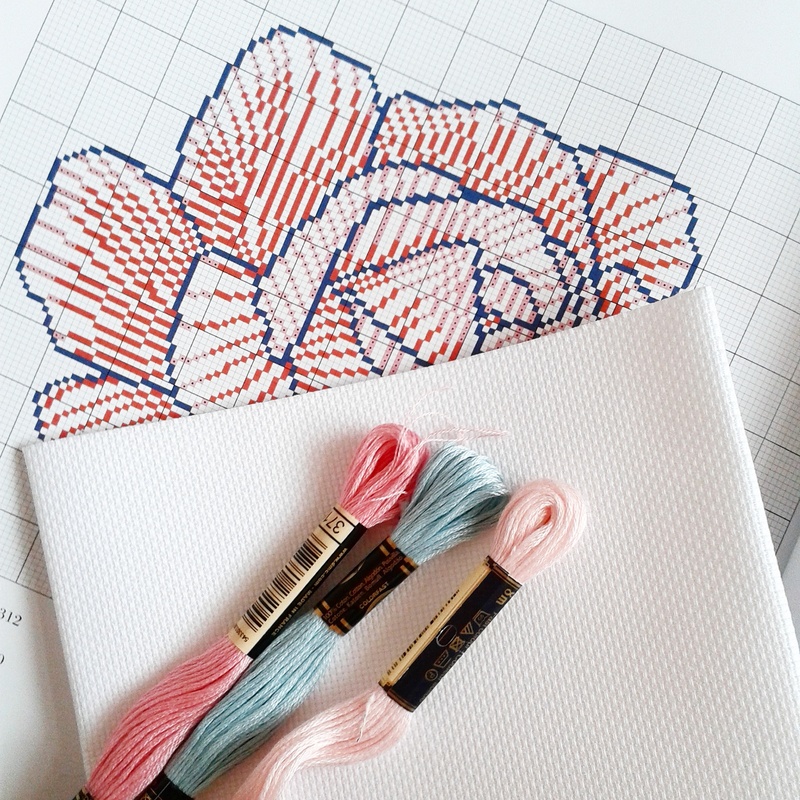 Enjoy and have fun stitching!